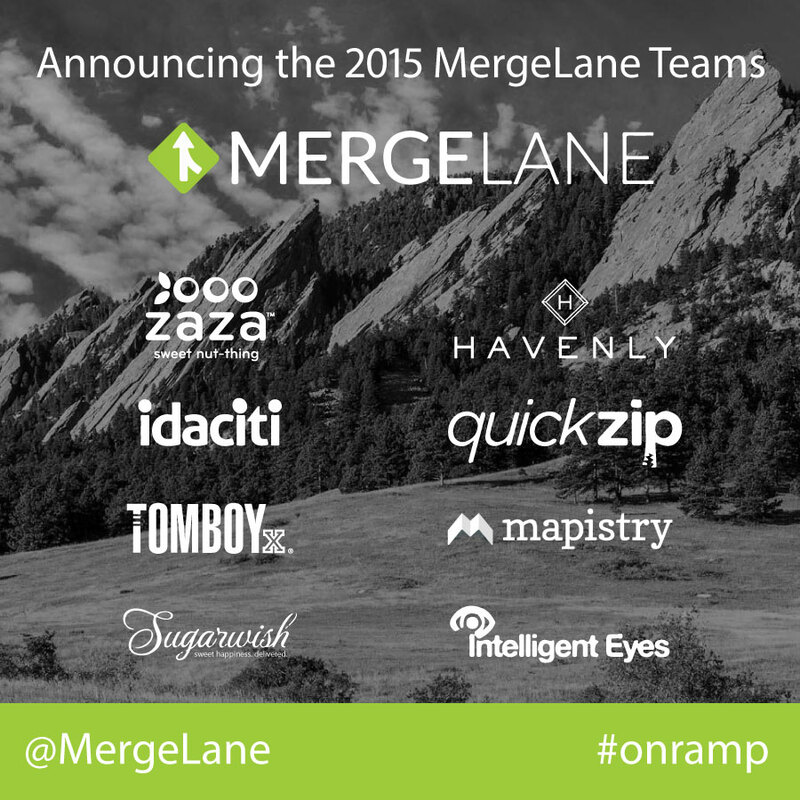 Boulder, CO – January 27, 2014: MergeLane, an accelerator that targets women-led startups, announced their first cohort of eight exceptional startups today for the 2015 program beginning February 2nd. Each participating company has at least one female founder, market traction, and a unique position in a significant sector. MergeLane companies were selected through an open application process that began in October. The founders will join MergeLane in Boulder, Colorado for the first two weeks and the last week of the 12-week program. The early-stage companies will receive guidance and mentorship from more than 100 innovative business leaders as well as executive coaching to address the intrinsic issues founders often face in growing their businesses. MergeLane was founded to narrow the gap for female-led companies in the startup ecosystem. The for-profit effort also is designed to optimize returns based on a strong investment thesis that favors female-run firms. A recent study by MIT and Carnegie Mellon shows that teams with more women outperform teams with more men and that emotional intelligence is the key to better results. Venture-funded, female-led teams also produce higher returns. According to Illuminate Ventures, organizations with women in top management achieve 34% higher returns. Despite the performance data, only 7% of VC-backed startups are run by female CEOs, according to MIT research. MergeLane is sponsored by Bryan Cave LLP, First Western Trust, SoftLayer, and Centro Latin Kitchen. To see a list of the top executives and entrepreneurs that support the accelerator go to http://mergelane.com/mentors. MergeLane is a mentorship-driven investment program with a strong focus on promoting women-run startups. Headquartered in Boulder, Colorado, MergeLane is a 12-week program for a select group of high-growth businesses with at least one female in leadership. Participating companies will each receive at least $20,000 in guaranteed funding and the opportunity to garner an additional $100,000 in funding at the end of the program. Participating firms receive executive coaching and mentorship. Founded by Sue Heilbronner and Elizabeth Kraus, MergeLane is committed to discovering, accelerating and investing in exceptional women and the companies they run. To learn more, visit www.MergeLane.com.